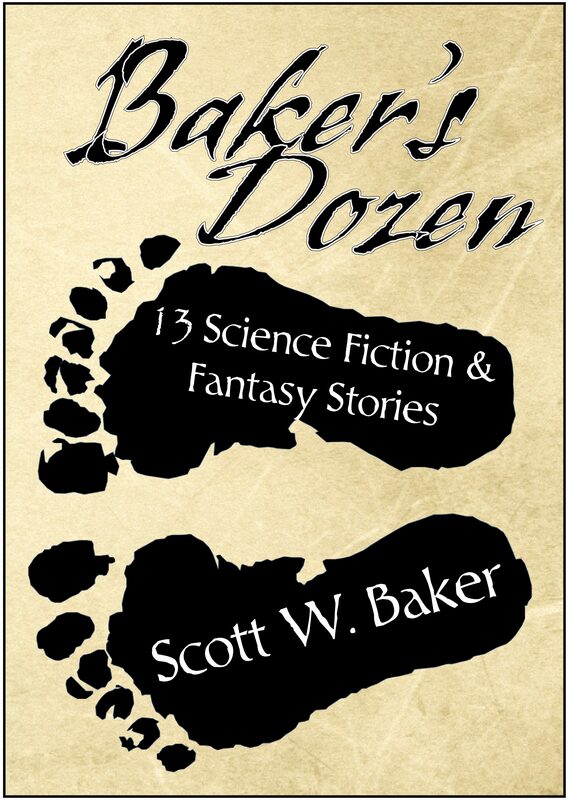 My latest submission to The Magazine of Fantasy & Science Fiction has been out 17 days. Doesn’t sound like long for a postal sub, but my previous F&SF have taken 10 days, 8 days…and that’s it. Only two prior submissions to F&SF. What’s wrong with me? Sure, I like e-subs for their convenience, but this is F&SF for pity sake. They passed on “Leech Run” and an old novelette that I’ll one day novelize, E&P. But that’s it. At least that’s all my records show, and I didn’t record anything to Duotrope about either of them. It’s been over two and a half years since I sent them anything. I find this tough to believe, honestly. My record keeping has gotten better of late but I could easily have missed a sub or two, especially if I considered them impossible sales. But to not even try? There was a time when I heard a heartbreaking stat about Gordon Van Gelder only buying like three stories from slush ever. But that shouldn’t stop me from collecting rejections from them. Heck, I haven’t sent them GB or EE or TOL or any of my other stories making rounds. I didn’t even send them my 1500-word fart joke, “Excuse Me”. It’s possible that I sent them “Chasers”, a story I sold back when I was just starting to keep records. (I’m thinking of sending that one to Escape Pod once I hear back on “Leech Run”…but that’s another post. More and more I am realizing that the person who has stood in my way of becoming a professional writer is me. So while I hope that this delay from F&SF could mean good news (not necessarily a sale, but a rewrite request or just a nice personal rejection would be lovely), I’m going to start creating a target list for markets and prepare submissions for those targets ahead of time so I can drop a story in the mail the minute it’s rejected elsewhere. 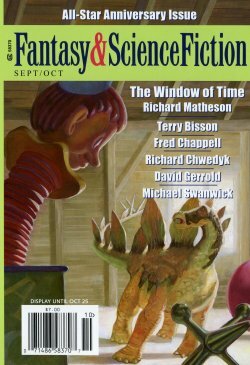 I hear that F&SF is infinitely easier to get into once one has a novel or two published, but I met Gordon at the Locus Awards last year and it sure seemed like he was interested in buying work from new writers. The postage thing kills me though, especially since I’m overseas (well, out of the country, anyways). I’ll only submit there if I have a piece that I think is an EXACT match. It is a wise writer who looks in the mirror. Glad I found your blog. I’ll be exploring more soon. I’m glad you found me, too. Welcome. Come again soon. Ditto from MJT, and I heartily recommend the last paragraph. Each story I finish up gets a schedule of “most appropriate markets” from 1-10, preferably before I start on the next one. I usually try to put the faster markets (using experience or Duotrope numbers) and electronic submissions in first just for the sake of flexibility, unless the story is incredibly appropriate for a particular place. BUT, regarding F&SF in particular, I read it for a while but didn’t really get hooked by it, except usually the ‘featured’ story. Just my opinion, but combine that with overseas postage and plenty of other markets that I would love to see my name in and I don’t bother. I’ve come to learn that once you get a quick rejection on a story to a market and then the next story you send them is a lengthier experience, it could definitely mean good things. Head high, Scott! I have a spreadsheet. The top page is chronological with a macro that copies and sorts to other sheets by title, market, and wait time. But I like playing with spreadsheets. It helps me see what I’ve sent where. I also use Duotrope’s submission tracker. That way my stats help others know how long markets’ wait times are. Of course, I’ve never made it up to GVG, though I got a very nice penned and personal rejection from one of the new slush readers. I’m considering re-subbing some stuff that the old slush reader didn’t pass on since they’ve changed up the gatekeeper so to speak and thus the slush reading tastes might have shifted.